Lake Links is a one day workshop held every October, in Perth, Ontario. It attracts citizens and scientists to share ways we can help sustain our lakes and rivers. Individuals spread across five watersheds in Eastern Ontario (and beyond) attend this day-long event to learn, network and see what’s new. Each year we address the lake and river issues that matter most to our communities with expert speakers, breakout sessions and dynamic presentations. 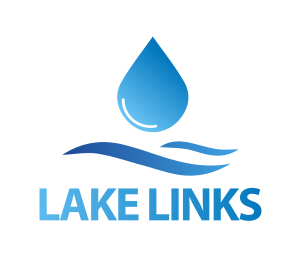 Watersheds Canada is just one of the many organizations that make Lake Links possible. Each year we receive support from various partners across the environmental sector. Lake Links 2019 will be held on Saturday October 26th, 2019 at the Perth Civitan Hall. This workshop examined the importance of good property level decisions, provided details of an active lake stewardship program, and offered input from local experts. This workshop explored the inseparable connection between lakes and upland areas. We learned about how lake health is impacted by EVERYTHING that lies beyond the shoreline. Scientists, lake associations, and municipal representatives provided their perspectives on cooperative lake protection. This workshop focused on strategies for protecting the fisheries in our lakes with a special focus on fish habitat restoration. This workshop focused on the benefits, challenges, and actions that are undertaken by many lake communities across Ontario. This workshop focused on strategies for community engagement. This workshop focused on climate change and how to build resiliency in our lakes. This workshop focused on the lake capacity model, watershed planning tools, and successful lake development case studies. This workshop focused on networking and information sharing among attendees and their organizations. This workshop focused on measuring and monitoring lake environments. This workshop focused on the effects of artificial lighting on aquatic systems, and explored the Lakeshore Capacity Assessment Tool. This workshop focused on municipal planning, aquatic vegetation growth, algae issues, and septic re-inspection programs. This workshop focused on land use planning and development around lakes, carrying capacity and shoreline restoration. This workshop focused on weeds, engaging your lake community to get involved and Your Lake, Your Responsibility. This workshop focused on how to get people to buy-in to Water Quality, Organizational Challenges and Lake Planning. This workshop was one of the first workshops dedicated to educating the shoreline communities in this area. Hosted by Mississippi Valley Conservation, in conjunction with Rideau Valley and the Cataraqui Region Conservation Authorities and area Stewardship Councils. It focused on Water Quality results, re-inspection programs, importance of official plan policies, invasive species and lake management.